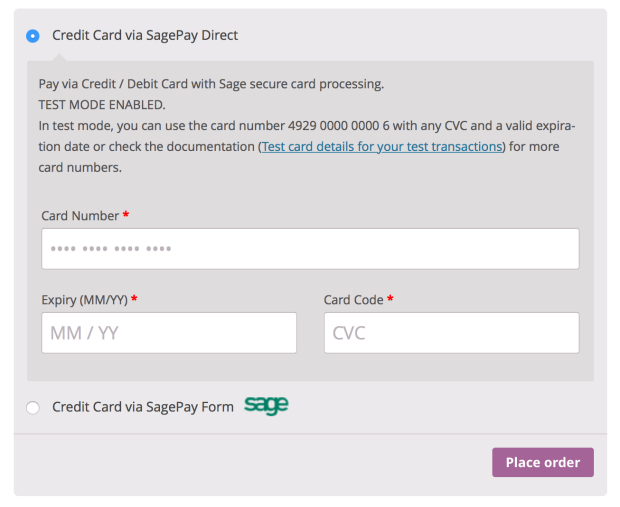 WooCommerce SagePay Form / SagePay Direct Extension: allows you to accept payments via SagePay. WooCommerce’s user-friendly checkout plus SagePay’s secure payment processing. Your customer gets all the best of SagePay without ever leaving your website!